When KKR came to us, the market got a little kick. Personally, KKR saved my life. I had to leave HRT. 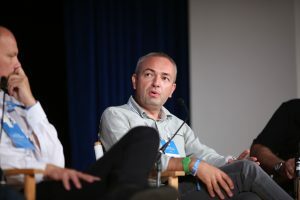 I had two heart attacks there, Zoran Šprajc said on the "Money Never Sleeps" panel where acquisitions on the media market and what that means for consumers was discussed. Dejan Ljuština, PwC's Chief Partner for Telecommunications, Media and Technology in Central and Eastern Europe, said all media acquisitions have a very simple explanation, which is profit. 'It's important to demystify why all this is happening, why some United Group is buying up the media. It is very easy: when there is no growth in the domestic industry, you have to expand”, Ljuština said. 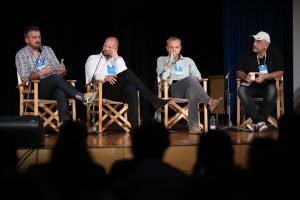 Much of the attention at the panel was focused on sports rights as panelists concluded them being a tool used for differentiation and the unique value of TV content. Slobodan Georgiev from BIRN Serbia and investigative journalist for Vreme added that media acquisitions in Serbia are a fundamental political issue because people from the government started defending telecoms. Primož Pusar, Partner and Chairman of the Board of Pristop Group added that he was extremely surprised the Slovenian Competition Protection Agency decided that United Group had to sell Sports klub, especially when you take into account that the decision was made five years after the proceedings started, which fits absolutely no legal frameworks. 'What is most valuable is the local content. A race for local content acquisition has started and everyone wants to take part in it, from teleoperators to older players who dominated the markets for the past 50 years as well as digital companies”, added Pusar.